Discover America's best-kept secret—Wyoming! Your vacation to Wyoming can provide great recreation, Western adventure or pure relaxation – the perfect escape from the fast pace of city life. The members of WHOA—Wyoming Hospitality and Outdoor Adventure Association—want to welcome you to Wyoming's unspoiled wide open spaces, friendly Western towns and world-class hospitality. 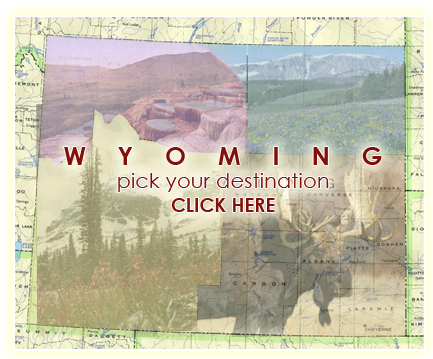 Let our friendly innkeepers introduce you to our historic state while pampering you with hearty Wyoming food, unique and comfortable lodging and a wide range of adventure and entertainment. Start planning your vacation now by exploring our website or calling an innkeeper today.